Kirkland Signature Ibuprofen Tablets USP, 200 mg active ingredient is 200 mg of ibuprofen and may be used as a pain reliever/fever reducer for adults and children 12 years and over. 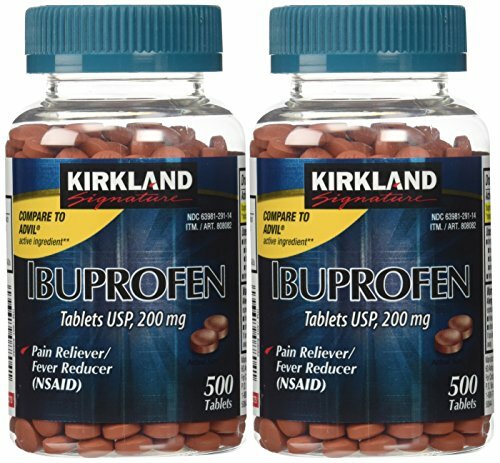 Kirkland Signature Ibuprofen Tablets USP, 200 mg are a nonsteroidal anti-inflammatory drug (NSAID) and come in easy-to-swallow tablets. A strong medicine for aches and pains, Kirkland Signature Ibuprofen Tablets USP, 200 mg do not contain gluten. Kirkland Signature Ibuprofen Tablets USP, 200 mg is a non-prescription formula; it should be taken in the smallest effective dose.